For our final “airport” day we make a shortish drive to Santa Linya, and enjoy some of the steep juggy routes on sector football, a favourite of Helen and mine. 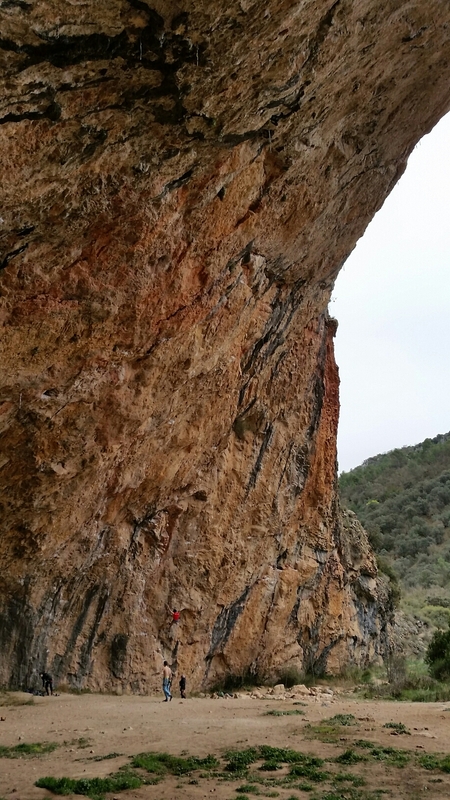 I manage a 7a I did last year and fail at the same place on a 7a+ – no change there then! Also tick a couple of 6c+s that I hadn’t done before, and Jake manages a 7c. A fine end to the trip. …but we still had ages before the flight so we popped up the road to sector Grand Cueva to check on the strong people and for Jake to burn off any remaining energy.